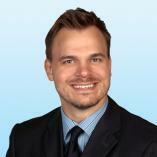 Cory brings ten years of brokerage experience and over fifteen years in commercial real estate to the table. Specializing in retail sale and leasing transactional work and a sub-specialty in restaurant work. Cory has exclusively represented premier retail tenants in lease and acquisition transactions locally, across Wisconsin and Nationally as well. In addition to this Cory has worked extensively with Banks and Special Servicers on multiple REO portfolios including BMO Harris Bank, LNR and PNC with over thirty transactions to his credit. Cory has also worked on sale-leaseback transactions and single-tenant, NNN leased investment grade assets. As a landlord representative Cory has worked on behalf of many of Milwaukee’s premier landlords and notable national, institutional landlords stabilizing properties, leasing up vacancy and selling assets.